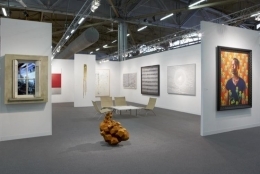 We will exhibit at the 2013 Armory Show art fair, celebrating the 100th anniversary of the 1913 Armory Show. 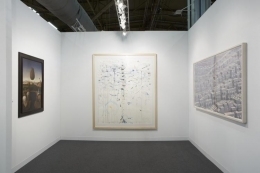 Our stand, Booth 501 (Pier 94), will showcase new and important works from the gallery's artists, representative of our diverse and expanding program. 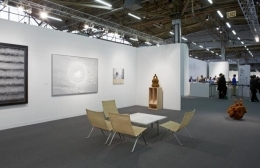 Included among these works are sculptures by Los Carpinteros, Leandro Erlich, Antony Gormley, Terence Koh and Nathan Mabry, paintings by Laurent Grasso, Rebecca Horn, Callum Innes, James White and Kehinde Wiley, a video work by Marina Abramović and photographic works by James Casebere, Alec Soth and Frank Thiel. 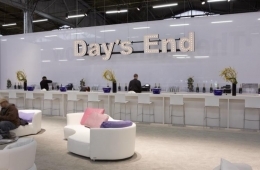 In addition to a new bulb sign on the booth, Peter Liversidge will exhibit a very large bulb sign which will be prominently displayed above the champagne bar at the center of the fair on Pier 94. 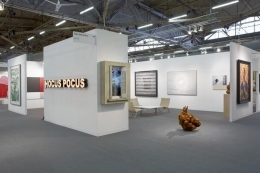 The work, entitled Day's End, is a reference to a work by Gordon Matta-Clark made in May 1975 on Pier 52 in New York, at that time an abandoned structure that sits to the south of the Armory's current venue. Alec Soth will participate in a panel discussion, Alternative Americas, in the Open Forum series taking place during the Armory Show. The discussion, moderated by Warhol Museum director Eric Shiner, includes writer John Bowe and curator Lia Gangitano and will address a range of perspectives on America and the artistic undercurrents that could be seen as subversive or resistant to so-called mainstream culture. To this end, the participants will present views on the country from inside and out and touch on issues in contemporary art brought about by the democratizing effect that technological advances has had with regards to the creation of images. Alternative Americas will take place at the fair on Sunday, March 10th at 3pm at Pier 94 in the Media Lounge. 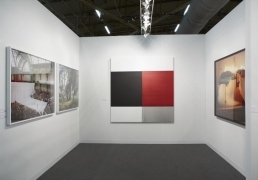 The gallery will concurrently participate in the ADAA: The Art Show fair at the Park Avenue Armory at 67th Street (Booth B3), with a one-person exhibition of carefully selected photographic portraits of artists by Robert Mapplethorpe; for more information, please visit The Art Show website. 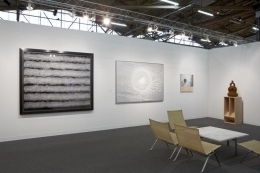 Throughout the course of both fairs, the gallery will be open to the public for our regular hours: from 11am until 6pm on Tuesday through Friday and from 10am until 6pm on Saturday with our exhibitions: Anthony McCall: Face to Face and James White: The Black Mirror, both on view through March 23. 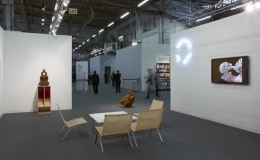 The Armory Show will be held at Piers 92 & 94 (Twelfth Avenue at West 55th Street); for more information, please visit The Armory Show website.